NOTE: This is the first in a series of articles dedicated to building your custom home. Building your custom home can be an exciting time! You’ve saved money, looked through dozens of magazines and online publications, and perhaps even created your own Ideabook on Houzz – all in preparation for the day when you can officially begin planning your one-of-a-kind home. But before drawings are finalized, you’ll need to make a lot of choices – as these will affect how your home is designed and the final cost of building your dream home. First up: selecting the perfect lot. Our client had a dilemma that many growing families face—running out of space in their current home, and they had no desire to move. 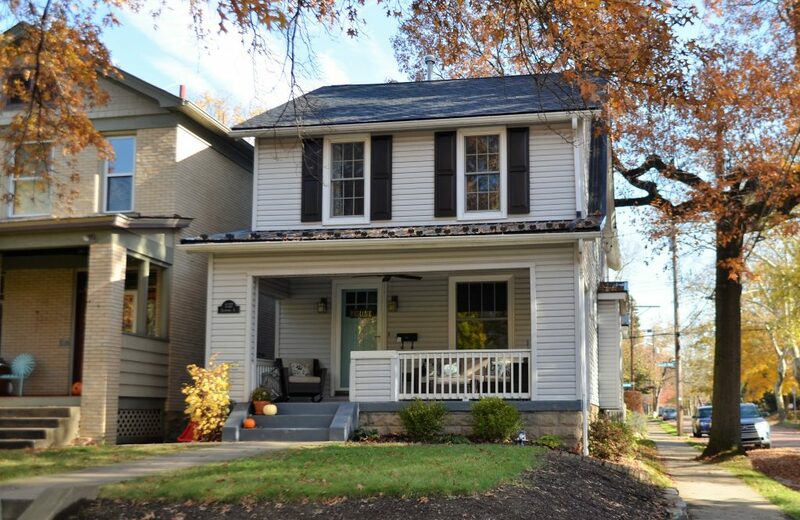 They loved the neighborhood and location, as it was right across the street from Frick Park, one of the larger parks in the city. Since the home was in an urban location with tightly spaced homes on small lots, it only allowed us to build on a small footprint. 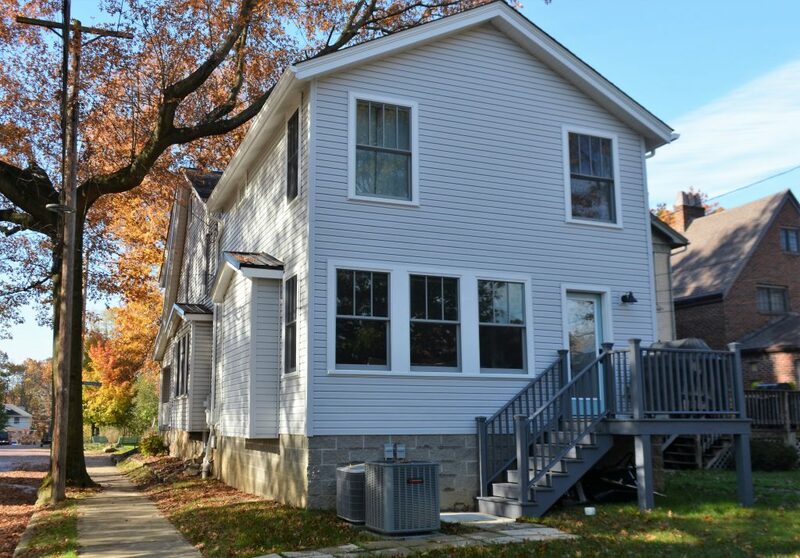 The plan called for adding more first floor living space that included a kitchen/dining room and family room, and a second-floor master bedroom suite. An additional requirement was, the owners wanted to leave enough room in the small backyard for a one-car garage to be built in the future. We designed and built the addition to blend seamlessly with the existing house by matching the exterior features and finishes. 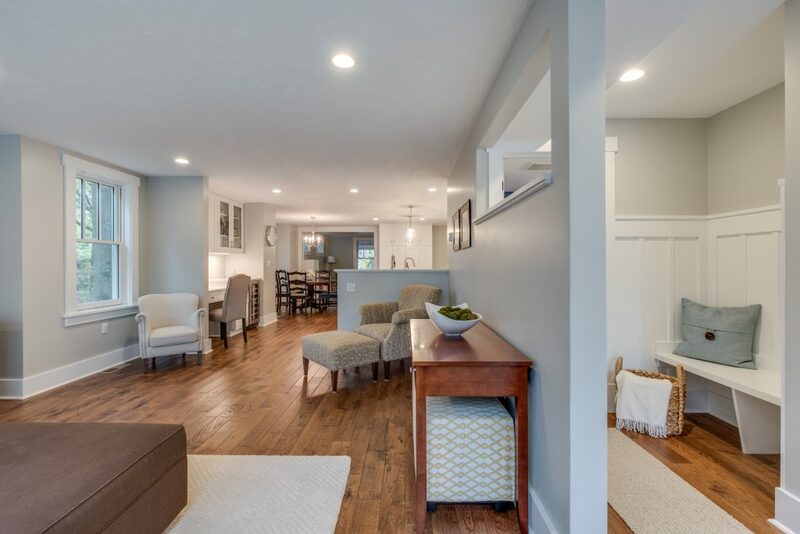 The client desired an open floor plan to connect the expanded kitchen with the existing living room and the new family room. At the rear entry is a small mudroom complete with a bench and coat hooks. The ¾ height wall between this area and the new family room allows the natural light from the full-glass rear door to pour into the family room but still partitions off this area as well as the entry to the new powder room. The kitchen features a large island with stools for casual dining, a work-sink and a microwave tucked at a lower level for easy access. 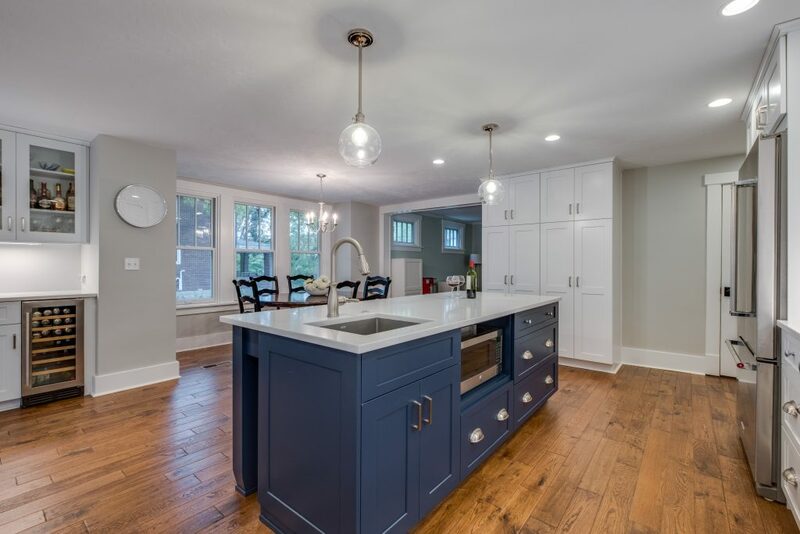 The kitchen offers a lot of light, including natural light from the side, recessed lighting, beautiful pendant lights over the island and under-cabinet lighting to give working areas plenty of light. 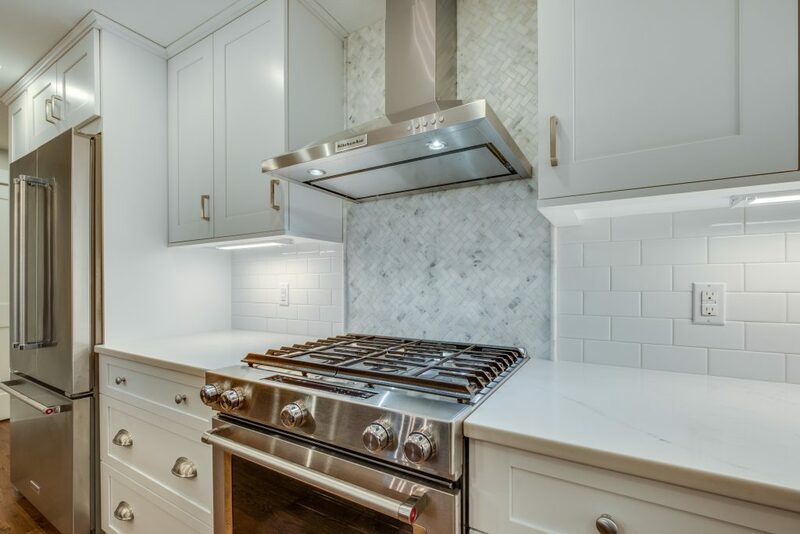 Behind the range, the beautiful marble tile in a herringbone pattern complements the white subway tile. Upstairs, we added a full master suite with a bathroom and walk-in closet. 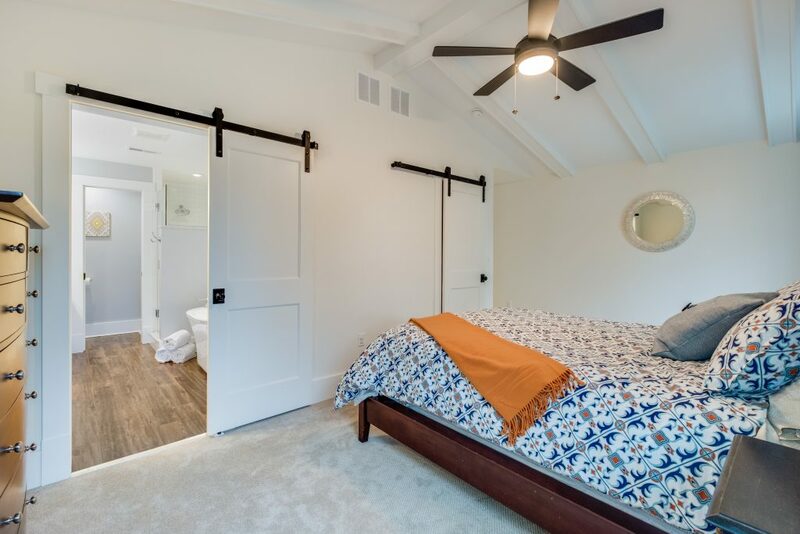 Both the master bath and closet entries are accessed using sliding barn doors. 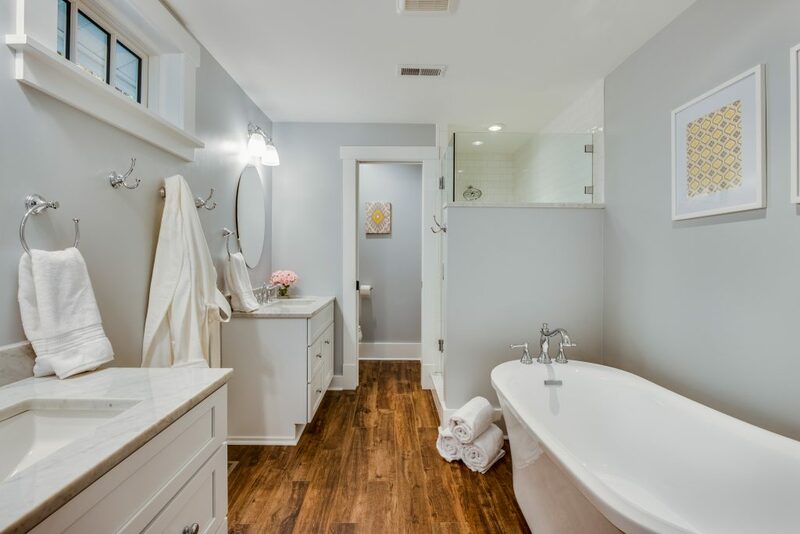 The master bath has his-and-hers sinks with a marble countertop, a soaking tub and a roomy walk-in tiled shower with a built-in cubby. Would you like to build a new home or log/timber-framed home? Let us help. As your design-build team, we can walk you through every step of the process. Contact us to talk further. For many of us, the month of January signifies the start of new beginnings and the time to get super-organized. There are a lot of “organizational tips” available online, especially on Pinterest, so we thought instead of inundating you with a ton of information, we’d suggest a few that caught our eye. Lazy Susans are a great way to keep things visible. Use one for your spices and another in the fridge. Need to keep a receipt? Two ideas: 1) glue an envelope to the back of your planner and stick them in there, or 2) get a separate notebook and staple them to the pages. Organize your pantry with snack stations. Use narrow plastic bins to make them easily accessible and visible (so you know when to stock up with more). Take advantage of the storage bin sales that the big box stores offer all month long. But before you just stuff items into a bin, organize them and label the bin accordingly. For example, don’t just label “Christmas.” Instead, label “Christmas: Kitchen decorations.” That way, next year you know what boxes to pull for which room. 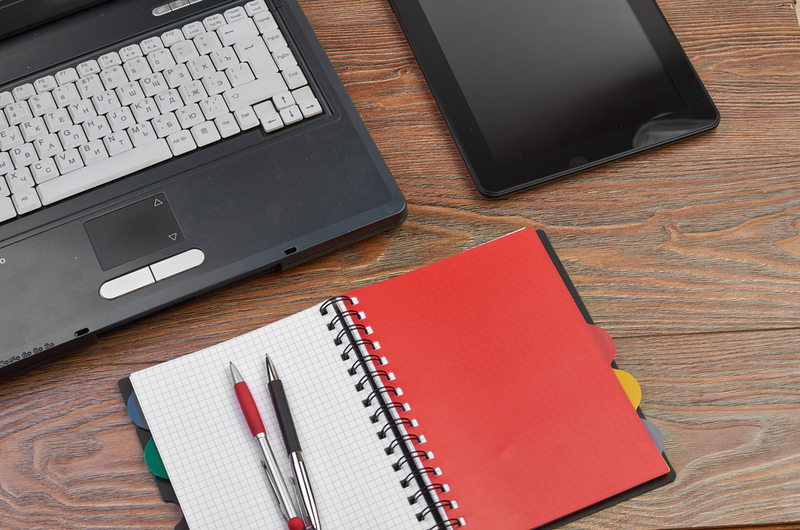 Spend a few hours one afternoon and organize the files on your laptop. Then make a backup of your hard drive. Tell us: Of the hundreds of de-clutter ideas and tips, what’s your favorite? We’d love to hear! Whether you are building a traditional custom home or a timber or log home, there are many considerations to think about and decisions to be made – including Universal Design elements. While it is not strictly for the handicapped, Universal Design can be of great benefit for someone who has mobility and accessibility issues. 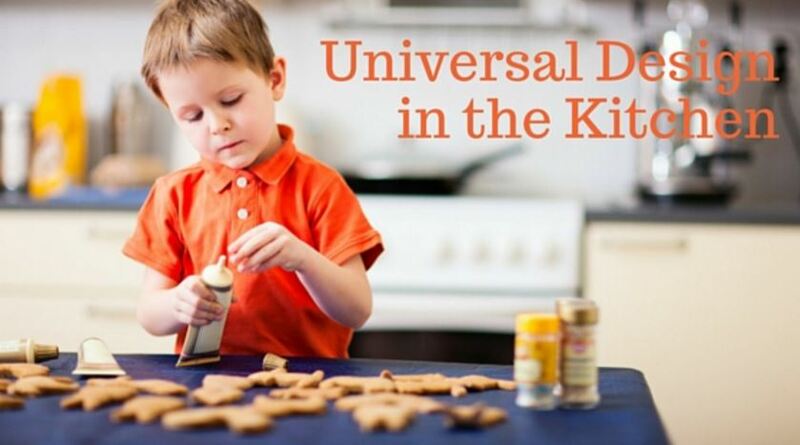 Universal Design is design that is suited for all family members. No matter what the age or ability, universal design elements ensure that all family members can effectively use the space. When we begin designing a space with Universal Design in mind, we think about how effortlessly and easily a task can be done. The goal is to minimize lifting, reaching and stooping – basically avoid any movements that have the potential of causing a person to become off-balance and hurt themselves. You never know when life is going to throw you a curve and someone in the house ends up with a broken leg or temporarily confined to a wheelchair, or when you may need to care for a loved one in that situation inside your home. Universal Design helps you plan for every stage in your life – from younger ages to your golden years. In certain areas of your house, Universal Design can play a larger role in keeping your family safe and also enhance accessibility. Your kitchen is one of those areas (the bathroom is the other). Faucets & Hardware. Does the faucet on the sink and the hardware on your cabinetry meet the “closed fist” test? In other words, can a person work them with a closed fist? Often older family members have arthritis or other issues that make it difficult to grip. Offset single-lever faucets are ideal because they can be operated with one hand and do not require the person to reach behind the sink. Another option is an electronic touchless faucet that can be activated with the wave of a hand. Flooring. Choose a flooring surface that is slip resistant and comfortable. When selecting tiles, in this instance, a smaller tile is better because it has less surface area (which minimizes slipping); or you can select a non-slip flooring like cork, which also provides some cushion – making it more comfortable to stand on. Also, there are products on the market that can be applied to tile or stone flooring that don’t take away from the appearance yet add a tread to prevent slippage. Clearance. You may want to give additional consideration for knee space at the sink, cooktop and meal prep areas for a seated option. Storage. Select cabinetry where the items inside are reachable – such as pull-out draws for pots, pans and dishes, and pull-down shelves for overhead cabinetry that make it easier to find what you are looking for. Slide-out shelves, particularly under the sink, keep everything in its rightful place and minimize stooping/reaching to find cleaning supplies. Lighting. 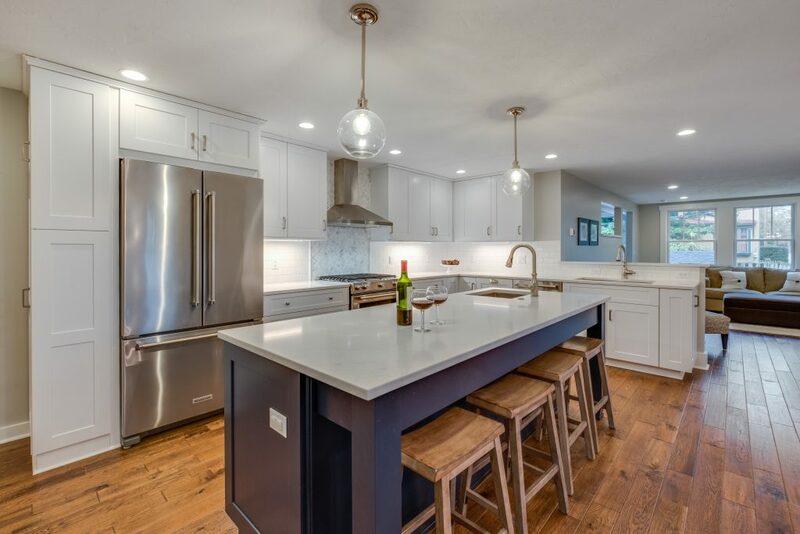 As we get older, our eyesight starts to fail, so integrate plenty of overhead and under-cabinet lighting into your kitchen remodel and select on/off switches that pass the “closed fist” test. Additionally, if you can, try to include more natural light (windows or skylights). Studies have shown that natural lighting has profound positive psychological benefits, especially for family members who can’t get outside as easily as they’d like. Appliances. A number of appliances on the market today fit the Universal Design criteria and look phenomenal. When comparing appliances, it is smart to choose ones that have front-mounted controls, to eliminate reach. Here are some other items to consider when picking out specific appliances. Microwaves – Drawer microwaves, as opposed to over-the-cooktop ones, are simply safer. It is much easier to slide something hot out of a microwave drawer than it is to lift it out from overhead. These are also convenient for younger family members who may be old enough to safely work the microwave but wouldn’t be tall enough to reach one that is higher up. Refrigerator – Side-by-side refrigerators/ freezers, particularly ones that have a gallon-sized storage shelf on the inside door, are ideal. Dishwasher – Consider a dishwasher drawer you can load from the top. Oven – Choose a wall oven that has a swinging door (similar to a refrigerator door) instead of one where the door hinges down to open. Cooktop – Pick a cooking surface that is flat, which makes it easy to slide heavier pots and pans. You may also consider choosing a magnetic induction cooking surface because it doesn’t activate until you place the special cookware on top of the burner. Not only does it greatly reduce the chance of burns, but it also cooks faster. When contemplating remodeling your kitchen, think of these Universal Design features you can add that will keep your kitchen approachable, comfortable and durable for all family members. Fads come and go and trends change, but some kitchen additions stand the test of time. Kitchen islands are one such design essential. 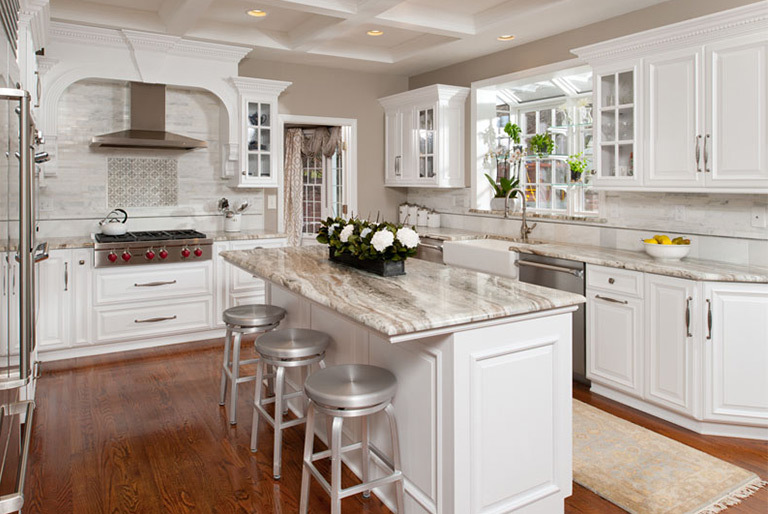 According to a survey by the National Association of Home Builders, more than 70% of buyers want an island in their kitchen, and of those, 50% consider it a must-have. A carefully planned kitchen island brings guests, family members, and the cook together. The cook no longer must be secluded in their tasks while guests mingle elsewhere. Parents can balance the duties of meal preparation while children congregate to complete homework or create crafts. The island is the reason why the kitchen has become one of the favorite and most-used rooms in the home. 1) What’s the purpose of my kitchen island? The fundamental reasons for the island will drive most of the design decisions. Kitchen islands can be used for a combination of functions such as: prep work, cooking, storage, entertaining, homework and crafts, and dining. Consider the opinions and behaviors of the entire family. Understand that as time progresses over the next decade or two, the uses of your kitchen may also change. 2) What layout is best for my kitchen island? After defining the main purposes for your island, layout requirements will emerge. Many kitchen islands will become part of the kitchen triangle, locating the cooktop, refrigerator, and sink in convenient proximity. Likewise, adjacent areas such as living rooms will influence the location of seating areas within your kitchen island. Islands will drastically range in shapes depending upon their function and will be impacted by the surrounding kitchen. 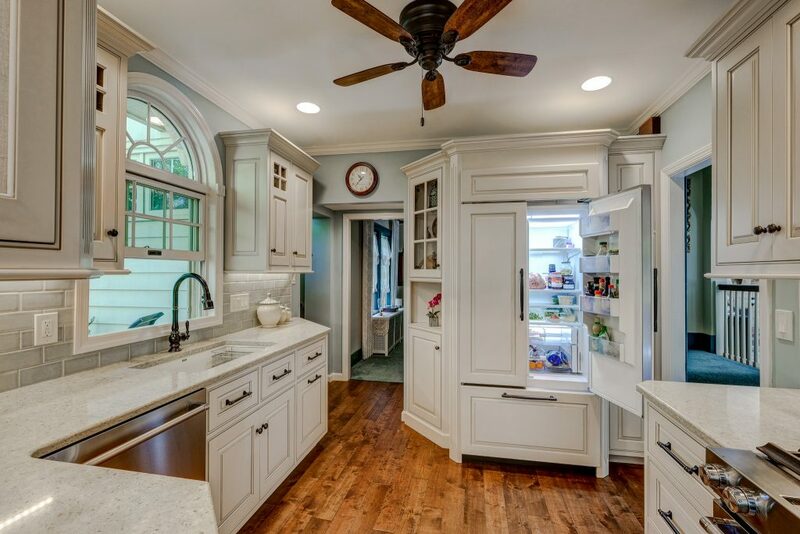 Working sides of the island should have approximately 42”-48” to allow room for opening larger appliances and storage, as well as room for two people to easily pass by. Islands can range from simplistic rectangles to multi-sided and asymmetrical. 3) Which appliances will be included in my island? Appliances and sinks will require a larger island for the most part. 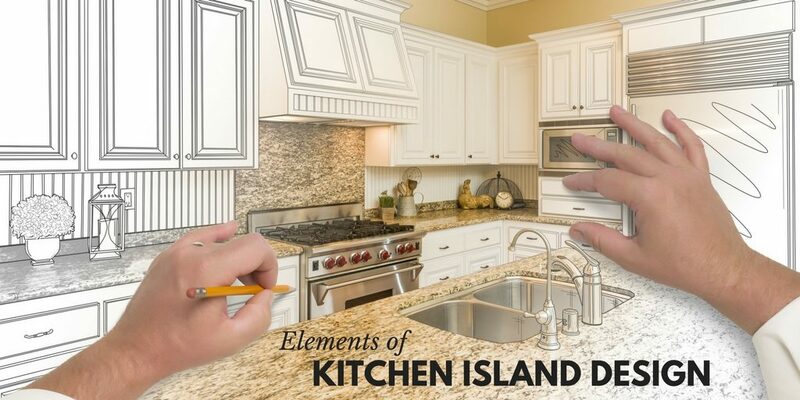 An island can include cooktops, ovens, sinks, dishwashers, or even small refrigerators. When considering your overall kitchen design, choose the top items to include in your island, as not all may fit. Adding a cooktop in an island will require an overhead vent hood to be installed. Incorporating a sink into an island will require some additional plumbing for the water source, drains, and air vents. Your kitchen designer will help guide you through these choices and explain how they may influence your overall cost. 4) How can my kitchen island provide storage solutions? If the space permits in good proportion, kitchen islands can house many items behind doors, in drawers, or on display. A large island could include two standard 24” cabinets back to back, stowing away a multitude of lesser-used small appliances, containers, cookware, trash receptacles, linens, or serving dishes. Kitchen islands may also conveniently store cooking utensils and serving dishes nearby for easy access. Some home gourmets also love to display cookbooks, wine bottles, or stemware on exterior shelves or overhanging racks. 5) How high should the surface of the island be? Kitchen island surfaces used for traditional counter space or prep work are typically 36” in height, similar to adjacent counters. However, if your kitchen island will also serve the functions of entertaining guests or have part of its surface used for dining or seating, consider a second, higher tier of 42”. Separating these two surfaces will easily define the different areas of the same island. Taller bar stools can be used with the higher counter allowing guests to have their own space while enhancing the look of your island. The counter overhanging these seating areas should allow for a 15”-18” offset to give legroom and a space to slide stools underneath when not being used. 6) Will my island match or accent the rest of my kitchen? Originally, kitchen islands matched the surrounding countertops and cabinet stains and paints. However, modern trends have used kitchen islands not only as a utilitarian addition but also as an aesthetic enhancement. Since islands are central to position and usage in the kitchen, they can be a great opportunity to create a gorgeous focal point. Whether bold or subtle, using a different cabinet color and/or countertop material can draw guests into the kitchen and unite other accents in the surrounding room. A well-thought-out kitchen island will make your kitchen truly unique as it becomes the heart of your home. The five senses of your family and guests will be excited as they gather to eat, drink, and be merry together for years to come! Of every fixture and piece of furniture that you place in your bathroom, the vanity and sink are probably the most crucial. These fixtures can impact your comfort and overall satisfaction with your bathroom, so it’s important to consider a variety of designs and styles. Size, materials, color, height and shape can all have an impact on the appearance and functionality of your vanity and sink. But before you can make a choice, you first must know how those choices differ from one another. Knowing what to look for can help ensure that your selection is more satisfying. Most consumers are surprised to discover that sink styles can vary wildly. Gone are the days of few choices, colors and materials. These days, homeowners must ask themselves: two sinks or one? Drop in, undermount, integrated or vessel? Made of stone, ceramic or metal? Which color? Which shape? The traditional bathroom sink is the drop-in variety, easily identified by a lip that hangs over the edge of the counter to secure the sink in place. In contemporary homes, however, new sink types have surfaced. Vessel. Perhaps the most striking of all the sink types, vessel sinks look like bowls mounted to the top of the vanity. This is the perfect selection for homeowners who like modern fixtures. Undermount. To picture an undermount, imagine a drop-in sink, without the obvious lip that hangs over the edge of the counter. Undermount sinks are seamless, understated and elegant. Integrated. Integrated sinks are physically a part of the countertop, and cannot be removed or changed. Often, integrated sinks are the easiest to clean. Many homeowners choose a double sink if they have space, or a single space if they do not. Perfect for a master bath, the double sink gives homeowners options. Traditionally, sinks have been made from ceramic, but newer sinks can be made from engineered stone, metal, or a variety of natural or synthetic materials. 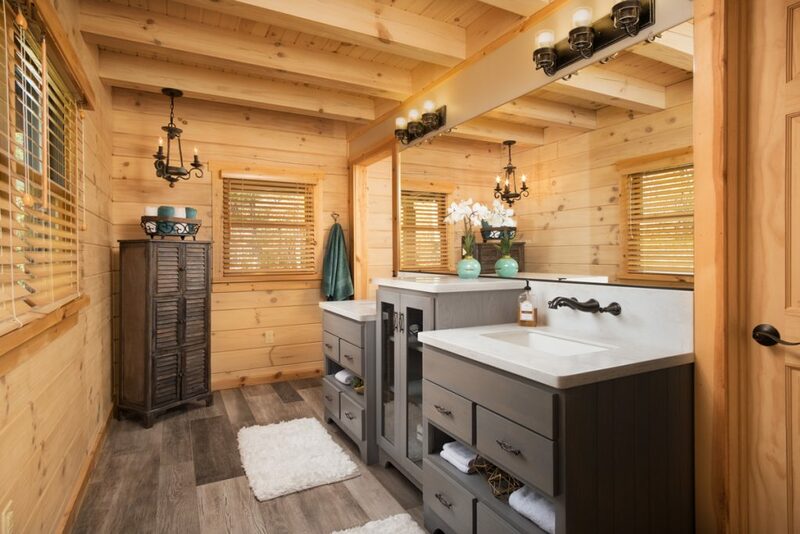 The vanity is the workspace of the bathroom, containing drawers and counter space for soaps, cleaning products, makeup and other bathroom tools. A typical vanity will be around 36 inches tall. Still, homeowners are not beholden to this standard for any particular reason. Sometimes, a taller or shorter vanity can make sense. Short homeowners might be attracted to shorter fixtures, while a taller vanity may have the advantage of including more storage space. It’s common for a vanity to be rectangular in shape, but this doesn’t have to be the case. In fact, many homeowners with small bathrooms opt for a vanity of a non-traditional shape. A triangular vanity or even an oval vanity can fit nicely in a corner, leaving extra space in the rest of the bathroom for movement. Often, a vanity will take the form of a cabinet or will sit on legs that touch the floor. 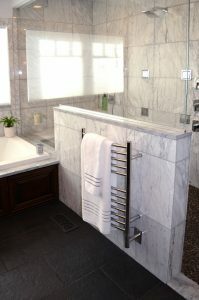 Cabinet-style and legged vanities are most common in large bathrooms. In recent years, wall-mounted vanities have become more common in smaller bathrooms. While these vanities actually offer reduced storage space for the user, mounted vanities take up less room visually and can contribute to a feeling of spaciousness, making a small bathroom seem less crowded. Remodeling a bathroom can be a challenge. Get help from a pro! As your design-build team, we can help you choose the right fixtures, layout and features for your bathroom. Contact us to talk further! Earlier this year, Prime 1 Builders became a Timberhaven Log & Timber Homes representative serving southwestern PA, and it has been fun and exciting to be able to bring log home construction to our clients! Here’s a Q&A with our president, Dan Meade, as to why we chose Timberhaven and what customers can expect. Why did you decide to get into building log and timber homes? My project manager introduced me to it. He used to build log and timber frame homes when he had his own company and told me of the interesting nature of this style of home building. I like the uniqueness of the log and timber style. 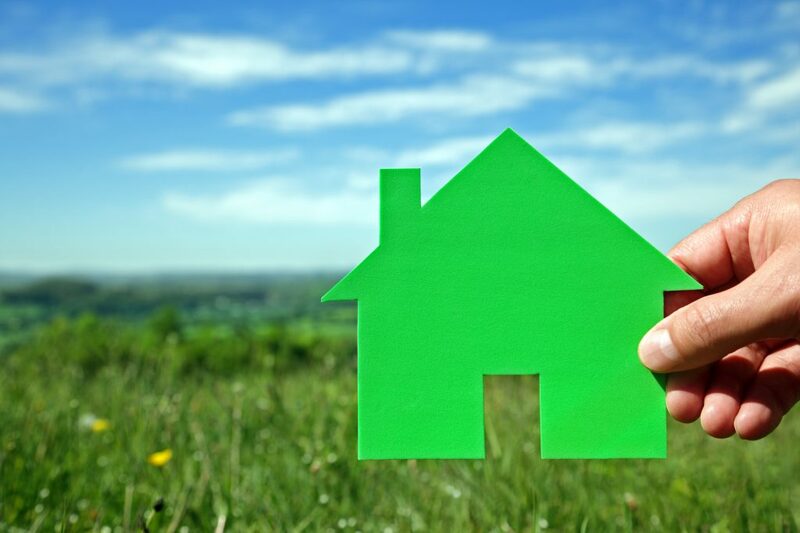 This is a growing segment of the new home industry, and I believe we can serve it well. Prime 1 Builders is a representative of Timberhaven and serves the Pennsylvania counties of Allegheny, Armstrong, Beaver, Butler, Fayette, Greene, Washington and Westmoreland. What excites you about this venture, and building log and timber homes? 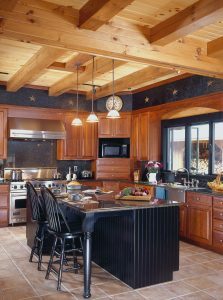 It is not something you find too often – a log home builder ­– so I like the opportunity to serve a niche segment of the market. There is something truly alluring about the look of an all-wood structure. I feel that we can grow this segment of our company and expand into new services, all while still providing traditional building services. There are over 300 plans to choose from on the website [see some of the most popular log and timber home designs], or Timberhaven will custom design a plan just for you. What should people know about building a log or timber home? 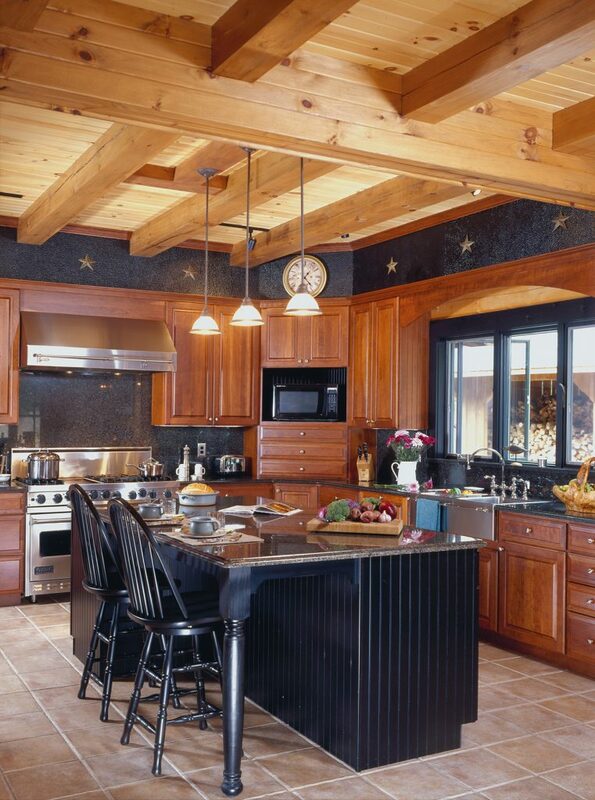 Log homes can be any shape and size and include many features found in traditional homes – most often have an open floor plan as a basis for the design. The process of building a home can include the owners’ efforts if they are willing and able. Some owners will have us complete the entire package ready to move into. Others will only have us erect the shell and they complete the rest, and there are still some that want to build the entire structure themselves, and all we do is furnish the log home materials package. Why did you choose Timberhaven? Quality is an integral part of Timberhaven Log & Timber Homes, and because quality construction is so important to us, this is one of the biggest reasons why we chose to become a Timberhaven representative. Timberhaven offers kiln-dried logs as a standard process. You can find many sizes and shapes, and you can choose your corner details from four styles. The Timberhaven logs come in two types as well: Solid logs are kiln dried to an average moisture content of 19%, which is similar to the moisture content that most framing lumber is dried to. This is for the traditional log enthusiast. Premium engineered logs are dried to an average moisture content of 9%, which is similar to the moisture content that furniture wood is dried to. Either way, there is no price difference and no need to have jacks and slide rails for seasonal log movement, which is sometimes required for air-dried logs. What are some of the factors that go into the price of building a log or timber home? We can sell you the components and you build it yourself, or we can give you a complete ready-to-move-into package – or somewhere in between. You decide. We will help you with the process either way. Ready to learn more about log home construction? Contact us. Laundry rooms are getting a lot of attention and for good reason. For starters, on average, women spend 17 minutes a day on laundry – that’s nearly 2 hours a week! 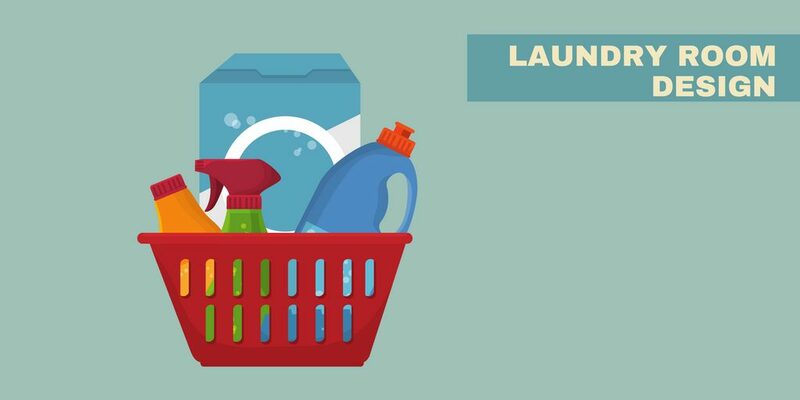 Laundry ranks third in household chores, just behind interior cleaning and cooking. Secondly, laundry rooms are one of the top renovation spends, according to the Houzz and Home Survey, released September 2017. The survey states that the average amount spent on laundry room remodels grew 24% from 2016. That’s a significant increase for such a small space. Finally, laundry rooms are all over the Internet. You cannot browse Houzz, Pinterest or Instagram without seeing at least one beautiful laundry room pic. With this in mind, we’d like to offer some practical information for approaching your laundry room renovation – should one be on the top of your mind (like it is for so many of our clients). We admit it – laundry rooms have turned into a fun space to design! If you want to experiment with fun, geometric-shaped tiles, colorful appliances or bold wallpaper, this is the space to try it on for size. But before you get too invested in the many fun design elements of this space, first consider the functionality of the laundry room and what it must do for you and your family. Sorting – Ideally, you’ll want space to sort your clothing. Some functional options include a place for baskets to separate your items and keep laundry off the floor. If space is available, tip-out or built-in hampers can keep your dirty laundry sorted and your space tidy. Prep – You’ll also want an area on which to work, such as a countertop, so you may apply fabric treatments. Consider plumbing in a small sink for pre-soaking stained items. 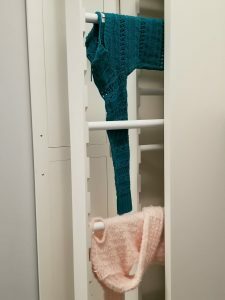 A rod can be placed between two cabinets for hanging clothes. Retractable, wall-mounted clotheslines are available in single or multiple lines. A slide-out or tip-down clothes drying rack can be installed, or for a nice upgrade, consider a drying cabinet. Folding & Ironing – You’ll want lots of counter space for folding laundry at a comfortable height (typically 36”) that doesn’t strain your back. You’ll also want a spot to store your folding ironing board, or upgrade to a pull-out ironing board drawer. Storage – To get as much storage as you can in this space, consider upper cabinets that go to the ceiling, baskets, pull-out drawers and shelves. Once you have storage integrated into your laundry room, you’ll wonder how you managed without it. Lighting – Never underestimate the amount of lighting you’ll need for this space. Make sure there is plenty of overhead lighting and countertop task lighting to see what you are doing. If you want to pretty the space up, consider hanging a beautiful chandelier as a focal point.